LEGO custom auto repair shop MOC! City news! New structure! This was another of the very first structures I had planned on including somewhere, somehow in my LEGO city, and finally it is in place! This one may get some small changes 7 updates over time, but I think the same could be said for any MOC in this layout. 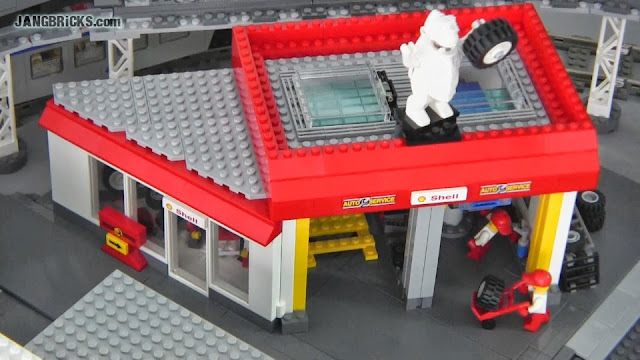 Video: LEGO custom auto repair shop MOC! Verry cool repair shop Jang! Thanks for posting. Thanks for building some more Lego mocs jang. Can you start buying the Lego creator expert series, you can buy them on lego.com/shop!! That looks just like the place I go to for my auto repair in Calgary. Nice job! do you have an instruction manual?